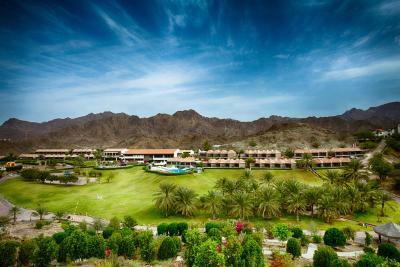 Lock in a great price for JA Hatta Fort Hotel – rated 8.7 by recent guests! Spectacular property with loads of facilities and activities. At the time of checking in the reception and all the staff was so friendly and welcoming. Special thanks to Ala’a who have explained everything and the variety of activities in the property despite the busy day in the lobby. I never seen a resort with this amount of activities for kids and adults as well. Kids enjoyed so much and will certainly come back. The view from the room is amazing and very relaxing. It is very hard to understand how this property is nearly 30 years old while it is still very well maintained.. The fact that they have two separate pool, one for family and one for adults is amazing and both of them are heated The spa was also very good and we enjoyed the treatment with the lovely SPA lady. Very welcoming staff with a very nice, calm, family-friendly vibe. The pace around the place feels slow and relaxed. Pool was pleasant, food was OK. Room was spacious, and although it has an older feel to the place, it is kept very clean and well presented. The place was nice, clean, comfortable, quiet and surrounded by fascinating and amazing views. The view is amazing and also have variety of activities at the hotel for you to spend your day. The staff is very friendly. Good breakfast. Nice lobby. Everything is new and clean. Very nice and large rooms. 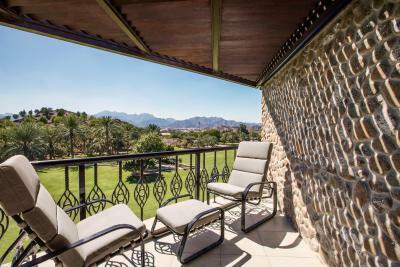 All balconies have sunshine, mountain views and sunset views. Clean and new bathrooms. Great for mountain hiking and other outdoor activities. 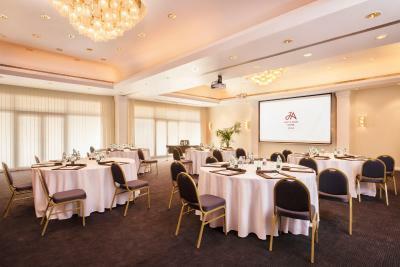 JA Hatta Fort Hotel This rating is a reflection of how the property compares to the industry standard when it comes to price, facilities and services available. It's based on a self-evaluation by the property. Use this rating to help choose your stay! This lovely retreat is nestled in a relaxed expanse of gardens and striking mountain territory. 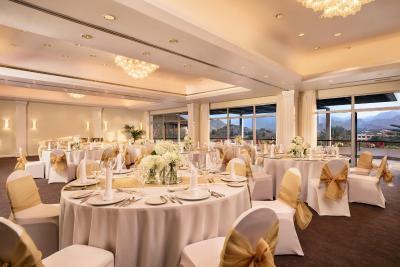 Contemporary décor and stunning views of the majestic Hajar Mountains from the rooms and public areas are highlights. The hotel also offers 2 pools, a spa, tennis courts and great accessibility to outdoor adventures. It is located in the emirate of Dubai, about 90 minutes from the city and 10 minutes from the UAE border with Oman. 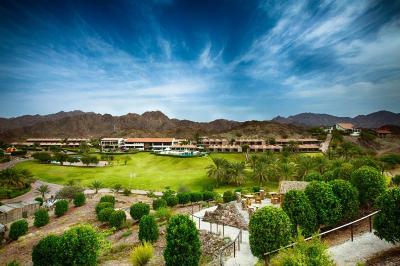 JA Hatta Fort Hotel's spacious rooms and family rooms feature private terraces with garden and mountain views. 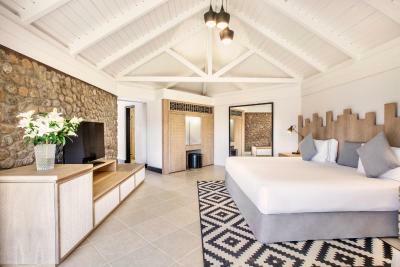 Each room has a bathtub and walk-in shower, high ceilings with exposed wooden beams, a mini-bar, TV, DVD player, room service menu and free WiFi. There are also 2-bedroom deluxe villas. Guests can relish the views from 2 temperature-controlled swimming pools – one for adults and a waterfall rock pool for families. Outdoor leisure facilities include floodlit tennis courts, a 3-hole driving range, archery and mini-golf. 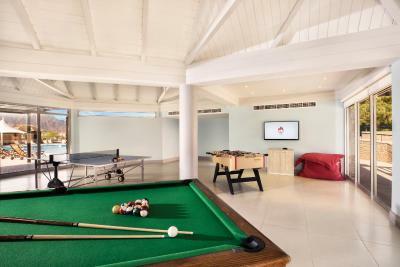 Families enjoy the children’s play area, games room and access to babysitting services in advance. 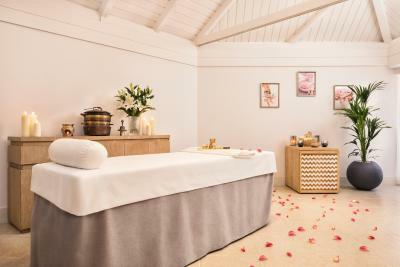 Apart from a well-equipped gym, Senses Spa provides massages and other relaxing wellness treatments. 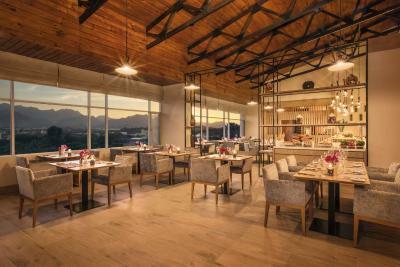 Jeema restaurant offers a wide choice of international á la carte cuisine and live music. The shaded, glass-enclosed Café Gazebo serves light dishes during the day. 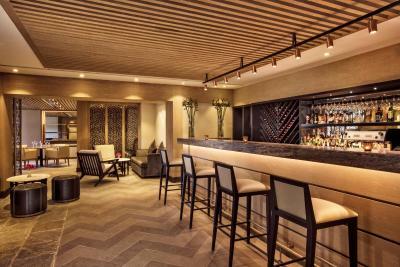 Roumoul bar serves cocktails and nightcaps, while Sunset Terrace is a great spot for sundowners during the winter season. From Dubai, the drive to JA Hatta Fort Hotel takes approximately 90 minutes. Free on-site parking is available. The hotel is less than 10 minutes from the Hatta Heritage Village, the ‘City Hiking’ trail and the Hatta MTB starting point for mountain bike trails. Kayaks and pedal boats can be rented at Hatta Dam, which is 12 minutes away with access to additional hikes. When would you like to stay at JA Hatta Fort Hotel? 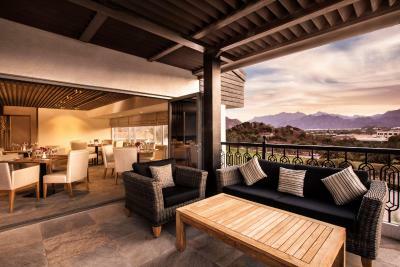 Featuring a balcony or terrace, this air-conditioned suite offers a view of the mountains. It features a living room with sofa and a minibar. The bathroom has a separate bathtub and walk-in shower. Located in a standalone location, this 120 sqm villa includes 3 separate bedrooms, a private garden area with sun loungers, a spa bath and dining area. Decorated in warm colors, it features a balcony or terrace overlooking the Hajar mountains. It offers a mini-bar, an electric kettle and safety deposit box. 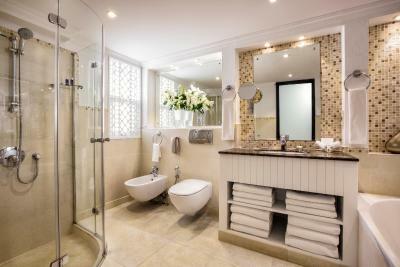 Both private bathrooms in the villa feature a walk-in shower. Maximum occupancy is two adults and two children under 12 years of age. This double room with mountain view features open spaces with high ceilings. 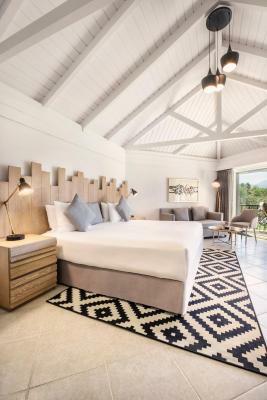 The 45 sqm rooms are inspired with contemporary arabesque style and natural details like exposed stone, wood and linen. Rafters highlight the high angled ceiling, while the bathroom welcomes with a separate walk-in shower and soaking bathtub. The soothing pastel palette is retreat-friendly and complements the rich intensity of blue skies, greenery and umber horizon outside. Step out on to the terrace to marvel at views of the mountains and garden oasis. 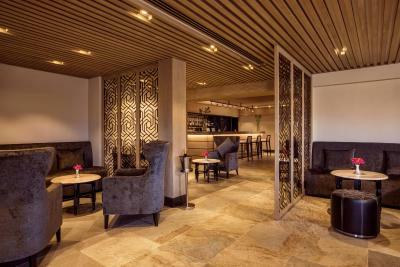 With two comfortable seats and a table, this is a great spot for morning coffee or afternoon refreshments. 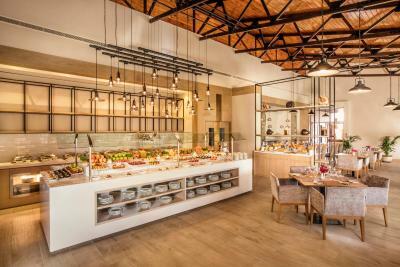 House Rules JA Hatta Fort Hotel takes special requests – add in the next step! Any additional older children or adults are charged AED 255 per night for extra beds. JA Hatta Fort Hotel accepts these cards and reserves the right to temporarily hold an amount prior to arrival. The credit card must be in the name of one of the guests staying and the same card must be presented for verification upon check-in. If the guest staying is not the cardholder or for any reason, the credit card used cannot be produced at the time of check-in, the guest has to pay in cash or by alternate credit card for the booking. The hotel reserves the right to reject the booking due to noncompliance of the requirements. Compulsory New Year's Eve Gala Dinner on 31st December is included in the rate for 2 Adults only, any child or additional Adult will be charged separately at the Hotel. A damage deposit of AED 1000 is required on arrival. That's about 272.25USD. You should be reimbursed on check-out. Location was great, . Staff is friendly. lot of activities to do. Peacock roaming around making you feel like complete vacation . The room was spacious and beautiful. It was nice to see animals in the hotel premises specially when you have kids. The breakfast was good. Kids enjoyed the pool. No services after 10pm. Day staff did not bother to supply drinking water -2 bottles. Breakfast was excellent..Location -very far away from Dubai. Very helpful staff-Mr Fazal. who helped us with hot-water- bag & drinking water. Some attention to detail with cleanliness could be improved in the rooms. Rooms were lovely and spacious! Really peaceful in the resort too. The staff are very warm and helpful. The activities and animals within the premises are very interesting. Really good staff and nice location. less variaty on food. But taste is good. Not much variety in room service, asked for a cheese pizza but they didn’t have. Not much veg options, ordered a paneer vegetable but they didn’t even have roti to eat it with. Very high prices for food. The food was not good , even the breakfast wasn’t that great. They still need to give more precise information about the possibilities of Hatta as well as its surroundings Pity that there are no little shuttle busses that will drive you around. The hotel arranged a top car for transport back to Dubai. Excellent driver, correct and on time. The utmost positive attitude from staff, thank you Ms.Irene for being so attentive. A special thank you for the nicest man who took care of our suitcases... The hotel has perfect rooms, large and spacious, with coffee/tea makers, quiet, nice views beautiful swimming pools. Excellent food and nice bar! The poor guy assigned to attending the pool bar was totally overburdened. He was permanently running between the Gazebo inside and the pool bar outside, with unacceptable waiting times. I had to run behind him and also ask the pool boy for help. 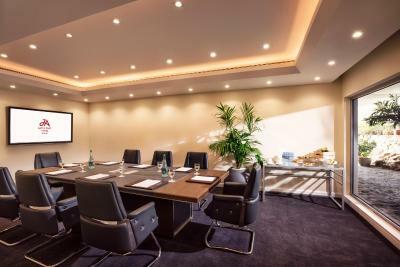 In a hotel which charges 1200+ AED per night, you can´t hire one more waiter of 2000 AED monthly salary for the pool area? Staff too slow when refilling the food (breakfast & dinner buffet) and when bringing the coffee in the morning. The tables in the outside area (Gazebo breakfast) were mostly unprepared and the person in charge forgot to reput them (sugar for the coffee, cutlery etc.) I was missing some high quality meat in the half-board dinner. The fish was good, but the meat balls and the old and dry roast beef surely didnt fit into the quality concept of the hotel. I saw the fresh steaks from the Friday barbeque at the Rock Pool, which would have been more matching with my expectation. Also, looking into the overall cost for the buffet dinner, it left a bad taste for us that they even charged you for the water. Basic beverage could have been included as it is the case in most half-board in the country. For a hotel of this price range, I was surprised to not find a sauna or steam bath available for the customers. 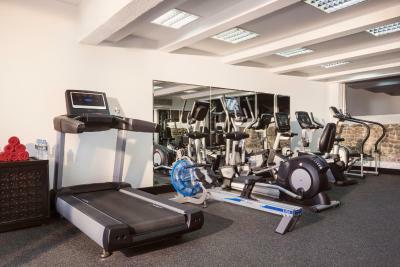 The location is fantastic; the hotel is clean, green and offers lots of leisure activities such as table tennis, billard, archery, airgoon shooting, tennis, gulf etc. which was our main reason for choosing it. (plus of course, there is no real alternative in Hatta as Meeras Wadi is permanently unavailable). The staff on overall made this stay very pleasant, all are extremely friendly and helpful. My big compliments to Sunil from the recreation area. We did airgun shooting and archery with him, he is a gem. Very well educated, good humor and attention to detail, with strong customer focus.